I’ve seen the future of charging at Ossia’s incredibly popular booth at the 2016 Consumer Electronics Show (CES), and it’s the Cota. 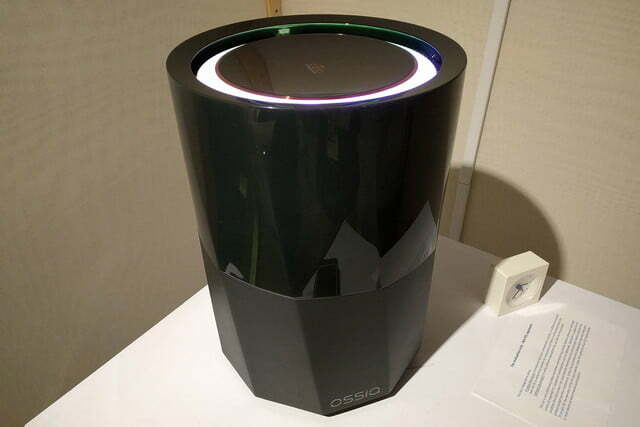 The Cota is an illuminated monolithic cylinder that charges devices wirelessly. 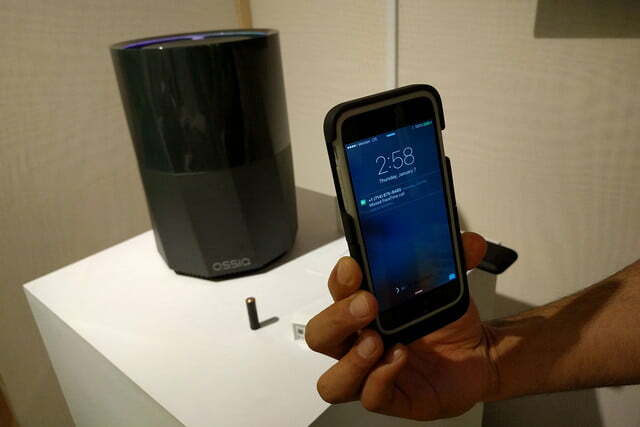 The Bellevue, Washington-based company Ossia built the device, and Digital Trends profiled the company’s founder, Hatem Zeine, in November of last year. The concept’s a simple but tantalizing one: You flip on the Cota, place the compatible device you’d like to charge within range, and, like magic, it begins to recharge. If you’ve ever imagined a future free of charging pads and wall chargers, the Cota’s the product you’ve been waiting for. The technology behind it is anything but simple, however. The Cota’s filled with hundreds of omnidirectional antennas that beam radio (RF) waves over 2.8GHz at 100 Hz, well beyond the interference range of Bluetooth and Wi-Fi. Anas Alfarra, Ossia’s intellectual property chief, told me its next-generation model contains four times as many transmitters as the current one. 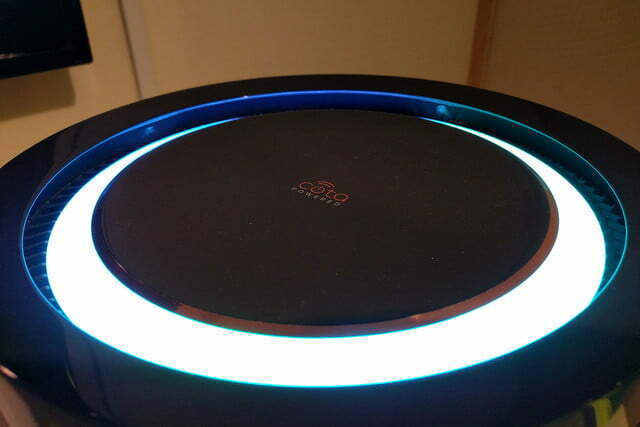 Somewhat counter-intuitively, they lie dormant most of the time — the key that triggers the Cota’s wireless power delivery is Ossia’s proprietary transceiver. When a device requires a recharge, the transceiver sends a packet of information to the Cota that includes its current power level. The Cota then directs the needed power to the transceiver’s relative location, or to multiple transceivers’ locations. Alfarra said the team has successfully charged as many as 32 devices simultaneously. How is wall outlet AC power transferred over the air, exactly? Through many, many conversions. After a transceiver requests power, the Cota sends an initial RF pulse that’s attenuated by walls, furniture, people, and any other RF-absorbing objects in its path. When part of the signal reaches a transceiver (or transceivers), it’s reflected back to the Cota, establishing an invisible path along which power is sent continuously. The successive, current-carrying RF signals are then converted at the individual transceivers — “rectified,” Alfarra said — to DC power that any attached device can use. The Cota’s not without limitations. In ideal conditions, the RF waves reach a maximum of 30 feet. And any object that crosses in front of the established path, like the cloth of a pants pocket, immediately stops the transmission. Ossia says it’s focusing on improving range, but maintains that the latter problem — signal absorption — is actually a convenience. Rather than waste power by sending it in all directions unceasingly, Alfarra said, Cota relies on transceivers to initiate power transfer — and if the transceiver’s RF waves don’t penetrate an object in the Cota’s line of sight, power deliver won’t begin. That significantly reduces the Ossia’s kilowatt hour power draw comparable to a conventional wall charger. Although the base station requires between 300 and 500 watts, it distributes as little as one watt of that stored energy over the course of a day. Another shortcoming? Thanks to FCC limits for human exposure, the Cota transmits power at only one-fifth to one-third the charging speed provided by USB. But Ossia believes that, given the broad range of wireless power’s potential use cases, that’s unlikely to present a problem. Ossia’s got a long road ahead of it. 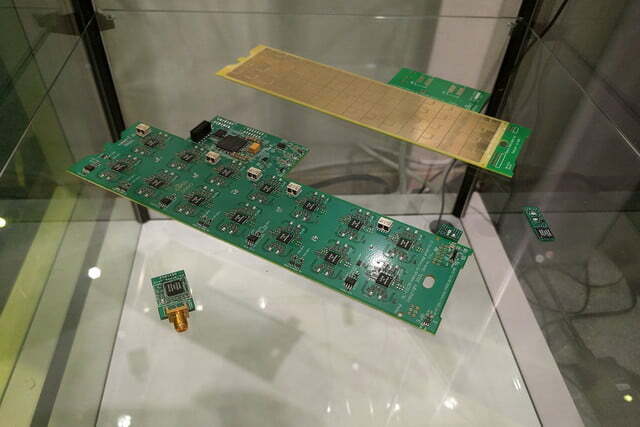 The company’s working with partners to develop products that integrate its transceiver chips. It’s signed deals with case maker XPNDBLS, Molex, and Japanese electronics company KDDI. 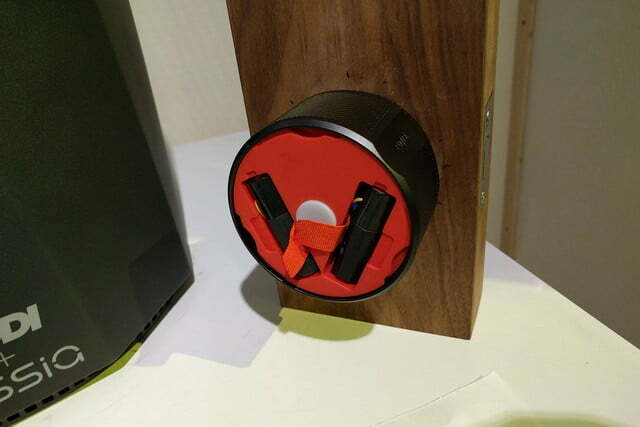 Ossia also demoed a wirelessly rechargeable AA battery and iPhone case at CES. The company focuses on reducing the cost of the underlying technology and beefing up the Cota’s software feature set with, for example, the ability to prioritize the charging of specific devices. The technology’s a ways out, ultimately. 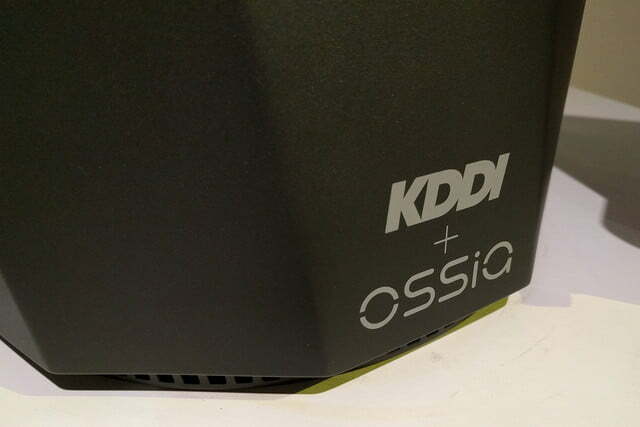 Ossia plans to release a Cota development kit by the end of this year, but said the technology’s at least five years from an affordable form factor with long range, high compatibility, and faster charging. Still, the potential’s there: Imagine smoke alarms and smart appliances that never need a battery replacement, or smartwatches that stay perennially charged. Zeine envisions products from electric toothbrushes to digital cameras with the tech. And Ossia’s ultimate ambitions are grander still. It sees the Cota driving innovation by influencing the designs of the products that it’ll eventually charge. Phone manufacturers with the company’s tech might be comfortable settling for a smaller battery in exchange for a bigger processor or an additional sensor, Zeine speculates. 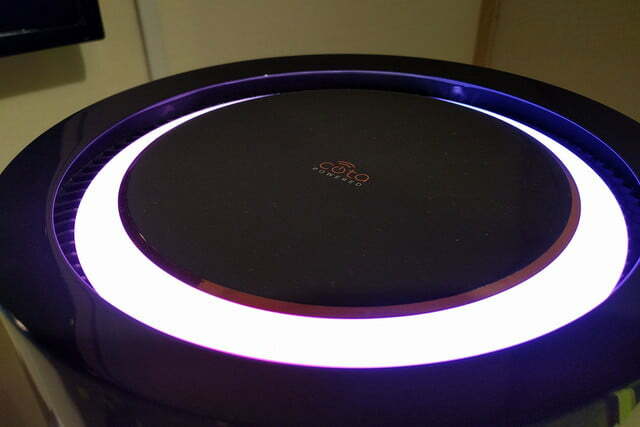 So the Cota’s not something you’ll want in a year, or perhaps five, but it’s one of the first devices to translate the dream of wireless charging into something tangible, and likely will be for the foreseeable future — seven patents and four generations of the Cota later, Ossia’s one of the few true wireless charging makers with a working prototype.